The only two actions Murphy has taken so far that benefit NJ, and I thank him for denying both stupid proposals. "While our opponents have painted the proposed marina as the playground of millionaires, the reality is the project will service local fisherman as well as local middle-class boat owners, who our research shows face a shortage of marina space," he said in a statement, adding that Fulop should work with Suntex "rather than issue threats through the media." per Suntex president. Yeah right, local middle class boat owners, especially the ones that could dock at the south east corners as per Suntex picture. Super middle class indeed... I was sort of giving them the benefit of the doubt as a commercial company with its own interest but I guess no more. Glad our city is exposing and halting all the shortcuts Suntex relies on to push this through including obviously some insider in the current state administration. I wonder what a freedom of information request would give in terms of who did what. LOL middle class boat owners! JERSEY CITY — State environmental officials have rejected a Texas company's push to build a new marina on the southern end of Liberty State Park, granting a second victory in four weeks to park advocates who have fought efforts to add commercial ventures to LSP. The decision by the state Department of Environmental Protection, which oversees the 1,200-acre state park, was confirmed to The Jersey Journal by a DEP spokesman on Thursday. 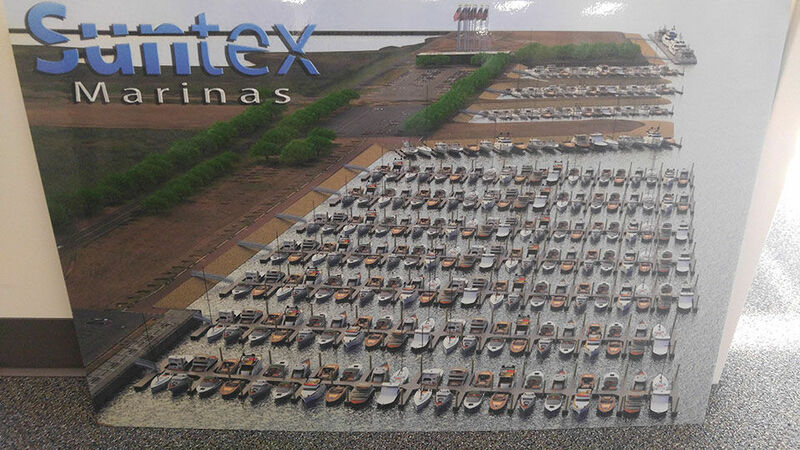 The plan would also have allowed Suntex Marinas to lease 10 more acres of park land for the marina it runs on the northern end of the park. I did not understand this new activity is just a lease amendment... not a good situation. Murphy will hopefully / probably kill the deal. The city probably knew the lawsuit would not work, but would delay things until Murphy could act. Whenever the rescheduled hearing is held, I hope someone brings large photos of the northern end of the park. Even a casual stroll through LSP shows that the only dilapidated, rundown, unattractive area in the whole park is the marina that Suntex already operates. Why anyone would even consider letting that company spoil more of our parkland is a mystery to me. JERSEY CITY -- Suntex Marinas, the company seeking to build a new 45-acre marina in Liberty State Park, has postponed a public hearing that was scheduled for Tuesday, Jan. 30. The presentation was set to be held at the Liberty House restaurant, but after a request from officials with the state Department of Environmental Protection, the company agreed to postpone, according to a release. The company said an alternate date will be announced once it has been confirmed. JERSEY CITY -- Suntex Marinas, the company seeking to build a new, 45-acre marina in Liberty State Park, will present details about the plan at Liberty House restaurant next week. The marina plan, which would also expand the existing Liberty Landing Marina by 10 acres, is under review by state officials after a judge last week dismissed Jersey City's lawsuit aiming to halt the plan altogether. The state Department of Environmental Protection oversees the 1,200-acre park. I did not understand this new activity is just a lease amendment... not a good situation. Interesting that in the judge's opinion there was a long list of all the various groups that would need to signoff and the DEP response was it was pretty much a done deal with all the groups. "Minimum procedures/hearings" They will be well underway in that area of the park when (if) this hits the recommended appellate court. A Hudson County judge today rejected a push by Jersey City to halt plans to build a new marina in Liberty State Park, paving the way for the plans to proceed with required state approval. Judge Barry P. Sarkisian, who heard arguments from Jersey City, the state and the marina company at a hearing on Tuesday, rejected the city's arguments that the proposed deal between the state and Suntex Marinas is invalid because the state did not seek bids for the marina plan. The city's arguments are "without merit" because the state in this case is not required to seek bids, Sarkisian said in his ruling. JERSEY CITY -- A Hudson County Superior Court judge said today he will decide by early next week whether to halt a proposed deal between New Jersey and a Texas company that would lead to a new marina on the southern end of Liberty State Park. The judge's decision not to rule today heartened park advocates, who believe that the plan is dead now that Chris Christie is no longer governor. Today's 11 a.m. hearing concluded just two minutes before Phil Murphy, who has said he opposes the marina plan, succeeded Christie. "Now we're in a safe victory zone of Gov. Murphy being in charge," Sam Pesin, president of Friends of Liberty State Park, told The Jersey Journal after the hearing. "And he has stated that his priority is the preservation of Liberty park as a special treasure for current and future generations." Plus they built a fishing dock by the launch. Unfortunately, they do not let fishermen actually park there! "neglected area of the park'? I suppose you would have to ask the thousands of families and organizations that use the shaded picnic area if that area appears to be neglected. Oddly enough he wonders why opponents did not call them... maybe he should have published a phone number in the closing paragraph or at least an email? When state officials developed a master plan for Liberty State Park in the late 1970s, they envisioned a park with a host of amenities that people from the surrounding communities could enjoy. The plan, developed with input from then-Gov. Brendan Byrne, called for the southern end of the park to include a fishing pier, picnic area, restaurants and a marina. That proposal was later reaffirmed in a 1983 action plan and again in a 1987 Senate report. It is clear from each of these documents that the vision for this beautiful urban park has always included plans for waterfront recreation, and the creators of the park never intended this land to become neglected as it has today. Recently, Suntex Marinas developed a proposal, bringing these early plans to fruition, a plan that would offer residents precisely the kind of activities called for when the park was originally preserved. But during a recent protest at the park and again in a pair of Op-Eds published last month, opponents of the plan have attempted to portray the proposed marina as a playground for millionaires on yachts, making it inaccessible to the millions of people who visit Liberty State Park each year. The proposed marina is aimed at middle-class boaters and fishermen, not, as opponents would have you believe, wealthy yachters. Studies completed in advance of this project show there is a real need for marina space among small boat owners. Suntex has planned several recreational opportunities open to the public, including a children's sailing school, a waterfront restaurant and a boat club that will allow residents access to sailboats and other watercraft, all for a nominal fee. Suntex has agreed to restore the dilapidated public boat launch that is all but unusable in its current condition. The plan calls for Suntex to build a public fishing pier for park guests. All of this will be done at our expense without any taxpayer dollars, adding to the area's recreational opportunities, not limiting them. More importantly, as part of the plan, Suntex has agreed to take on the repair and maintenance of the bulkhead at the northern edge of the park. According to the State Department of Environmental Protection that will save the state $43 million. And yet, in their Op-Ed, opponents of the plan dismissed the substantial savings to taxpayers that comes with the proposed pier. They claim, "other monies are available to fix the bulkhead." The other monies they refer to are taxpayer's dollars, plain and simple. Furthermore, opponents seek to portray any changes to the park as the plotting of evil despots intending on taking away the public's right to enjoy this urban gem. What they don't say, and likely never will, is that Suntex is offering a vast upgrade to what has become a neglected portion of the park. The opponents have depicted our agreement with the state DEP as cronyism conducted at the behest of the current governor. But due to delays forced by the opposition, our fate will now be decided by the administration of incoming governor, Phil Murphy. However, despite the attempts to derail or delay our project, we are confident that our plan is strong enough to win support of the incoming governor, who will no doubt see the benefits Suntex is offering to the community. We have found the opposition from local elected officials disappointing and disheartening. We at Suntex have always been dedicated supporters of Jersey City and its current administration, additionally we have been immensely accommodating to the city's needs. Now officials have cast aspersions on the company and the project, without so much as a phone call to discuss our plans. And yet, as plans take shape for a golf course in the park, we've heard no such protests from either elected officials or the Friends of Liberty State Park. Let me be clear -- we support the Friends of Liberty State Park. We have in the past and will continue to donate to their tireless advocacy. Their passion for the park is admirable, in fact, our interests are in every way aligned: To keep Liberty State Park a destination for families and visitors throughout New Jersey to enjoy green space and recreational opportunities. Where we differ with the Friends is that where they see an area in danger, we see an area in need. We are confident that once the public has been given the facts about what we offer the park, this project will be welcomed with open arms. Ron TenEyck is a Senior Vice President at Suntex Marinas. With JC's lawsuit hearing & Christie's exiting on 1/16 and Gov-elect Phil Murphy public stating he opposes the marina privatization plan, it looks like a pending victory for The People against LSP's southside destructive marina plan! Under the photo below is info on Mon., 1/8 being first day that LSP is accepting 2018 applications for picnic pavilions and re-servable open air tables. It's premature to celebrate the saving of LSP again but park supporters raised their Voices again to protect LSP and the big news this past week is that Jersey City Mayor Steve Fulop, who had initiated the hiring of a top law firm, announced on Jan 2 that a lawsuit was filed and that afternoon, a judge issued a Temporary Restraining Order preventing Governor Christie's administration from signing a lease with Suntex Marinas! The Jersey Journal story about the Mayor's news conference with guest speakers Friends' president Sam Pesin, our great 25 year ally Greg Remaud, deputy director of the NY/NJ Baykeeper, Captain Bill Sheehan, the Hackensack Riverkeeper, and Jeff Tittel, head of the NJ Sierra Club. The judge set a court hearing for 1/16 at 11am on the validity of the "DEP's lease term sheet" which Suntex signed, with them both ignoring the current strong opposition and the 41 year broad public consensus against privatizing our treasured park. The hearing will still be happening at Noon when Phil Murphy becomes Governor and he told the media this week that he opposes the marina and supports LSP's preservation for future generations! The marina's 300 yacht plan would confiscate sacred public land (3 jetties & 4 acre lawn), obstruct priceless harbor views and take one of the two free parking lots (228 spaces) and both are full on summer Sundays and many Saturdays, and had mega-yachts docked by the Overlook Lawn right behind Lady Liberty. We'll send out a thank you letter to all when the marina is officially rejected! For now, we thank all of you and Mayor Steve Fulop, Assemblyman Raj Mukherji, Assemblywoman Angela McKnight, Senator Sandra Cunningham and Senator Loretta Weinberg. A controversial proposal by the Christie administration to create a large marina at the south end of Liberty State Park may be short-lived. Hours after Jersey City officials filed a lawsuit Tuesday to block the project, a judge ordered a temporary restraining order that would put the project on hold until governor-elect Phil Murphy is sworn into office later this month. Murphy indicated Wednesday morning that he would not move ahead with the project. Murphy is to be sworn in on Jan. 16, the same day Superior Court Judge Barry Sarkisian scheduled a hearing on the city's lawsuit. Sarkisian issued the order late Tuesday after a hearing in Hudson County. It temporarily prevents Suntex Marinas from entering into a proposed lease agreement with the state Department of Environmental Protection, which oversees the 1,200-acre park. trust Governor-elect Murphy will safeguard the public trust and not lease away the south end of Liberty State Park." A Suntex spokesman said its attorney representing the company on the matter did not receive notice of Tuesday's court hearing until Wednesday morning. "We wish we had had the opportunity to participate in person at the hearing yesterday to argue on behalf of Suntex," Ron TenEyck, a Suntex senior vice president said in a statement. "We look forward to having our opportunity to defend our position on the 16th." While the north side of the park has commercial development, including a private marina and two restaurants, the south side has always been "the people's side of the people's park" and has allowed free access to to open space, picnic areas and sweeping harbor views, according to Sam Pesin, president of The Friends of Liberty State Park. More than 200 people protested the proposal at a demonstration last month. The marina proposal was first broached in 2014 when the Christie administration began exploring large-scale development possibilities throughout the park including a hotel, conference center and amusement park. That effort was the centerpiece of Christie’s “Sustainable Parks” initiative that was intended to bring more private concessions, venues and services to generate $15 million a year to reduce reliance on the state budget. Despite being New Jersey's most popular state park with 5 million visitors a year, the Christie administration has long considered Liberty State Park underutilized because officials have said many people use it only to board a ferry to the Statue of Liberty nearby. "The park is not 'underutilized,'" Pesin said. "That's a fallacy unless they're talking about winter months or in the middle of the week. It is very crowded on weekends between May and October and the vast majority of users come to the park for recreation and relaxation." Opened in 1976 on what was once an industrial wasteland, the park stretches over 1,200 acres of land and marsh and has panoramic views of Manhattan. It is home to two restaurants, a private marina, Liberty Science Center and the historic Central Railroad of New Jersey Terminal. Protesters at a December rally against a possible second marina at Liberty State Park in Jersey City. The idea of a hotel and other development began quietly in 2014 when the DEP hired a consultant to "analyze the potential attractiveness of the park to revenue producing developers." The administration also slipped a paragraph into a bill at the last minute to give some development control over the park to the state Sports and Exposition Authority because it can raise money for public-private partnership more easily. Among the consultant’s suggestions were a low-rise hotel at dilapidated train sheds and a conference center in the adjoining terminal building. It also called for developing the park's southern end, possibly with an amusement park, field house for indoor sports, outdoor amphitheater and another marina. Opposition to the plans grew among park advocates and local officials. The push-back also frustrated administration officials. DEP Commissioner Bob Martin dropped those development efforts in May 2016 when he told a legislative panel: “Let me be clear: We are done with this for Liberty State Park. I am not going to invest any more resources on it." JERSEY CITY -- Liberty State Park advocates are crowing today after a judge put a temporary halt to a state plan to add a marina to the park, an action the advocates believe indicates they have a good chance of stopping the controversial marina plan entirely. Hudson County Superior Court Judge Barry P. Sarkisian hasn't ruled yet on Jersey City's lawsuit that aims to halt Gov. Chris Christie's administration from allowing Texas marina company Suntex to open a new marina in the 1,200-acre state park. But the date Sarkisian set yesterday afternoon for an initial hearing in the case has marina opponents optimistic: Jan. 16 at 11 a.m. Christie ends his two terms as governor one hour later. JERSEY CITY -- Jersey City filed a lawsuit today seeking to halt a controversial plan to add a marina to Liberty State Park, with the city alleging the state improperly entered into an agreement with a Texas company that seeks to run the marina and that the state failed to use a required competitive bid process. The city, which also alleges the state did not consult with third parties to investigate the effects the new marina would have on the park, is seeking both a preliminary injunction to keep the state from proceeding with its agreement with the marina company, Suntex, and a declaratory judgment that would void the agreement entirely. The city filed the lawsuit today in Hudson County Superior Court. As a New Jersey resident and frequent visitor to Liberty State Park, I'm appalled at the idea of a huge marina at the southern, non-commercial end of the parks. A great part of the beauty of Liberty State Park lies in its open spaces and open vistas of one of the world's great harbors. This is no place for a view blocking, commercial marina. It would destroy one of the most peaceful parts of the parks! My name is Ralph Sinisi and I am one of the owners of the Grove Street Bicycles in Jersey City. 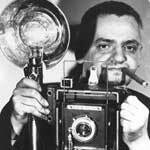 I am also a resident of Jersey City and was born here in 1975. Myself and my partners, my family, other local businesses, my neighbors and everyone else I know in Jersey City is very much against the new marina that will destroy the whole south side of Liberty State Park. There is no open space left in Jersey City outside of this park. This is a natural treasure to have an area that nature has returned to the way Liberty State Park has. It should be respected and not destroyed again as it once was. Jersey City is spending more just to renovate small, old parks as it costs to run Liberty State Park for an entire year. It is crazy that the most important park in Jersey City can be destroyed with how precious this space is to the people. Suntex's existing marina occupies the most urban area of Jersey City, Greenville. This park is the only escape so many people have as a picnic and family area. It is crowded every day of the summer with people truly enjoying what the park should be used for. This marina will take up all this area and all the parking. The whole idea that a people's park, that is the only one of its kind, can be for sale is wrong on every level. I hope the reality of what is best for the people of New Jersey and especially Jersey City will win. This is a small amount of revenue compared to what is wasted all over on ridiculous projects. To destroy the most important park in the state for this small amount of revenue, or any amount, would be an atrocity. These is supposed to be a public process and it seems as this is something else that is not happening as the plans are rushed through before Christie leaves office. I am a proud Jersey City resident. I'm proud of its rich history and it's a melting pot of America's dreams and ideals. Most of us are neither millionaires nor famous; we are just hard-working residents. Our most precious gem is Liberty State Park. The park is in the backdrop of the Statue of Liberty -- our symbol of freedom. If you have never been to the park, please go. It is magnificent and probably the only public space along the shoreline behind the Statue of Liberty that is open to the public. I often retreat to the park on weekends just to get away from city life. I always see families having picnics and gatherings. The people that utilize this park are not millionaires -- they are like me -- average residents of Jersey City. I heard there are plans to build a millionaire's marina on the south side of the park. Why? They already have one on the north side and it is ugly and dirty with polluted water. This is a bad idea. Slow down and think about the future, not just profits for today. There are other generations that should have an opportunity to discover nature and have open space to play and gather with family and friends. Building a marina will only service a few whereas the park serves many. It will also disrupt the natural habitat for the extensive wildlife that resides in the park, as well as birds and ducks that pass through during the spring and fall migrations. A park is for people and nature -- not profits. I am a citizen of Hudson County, New Jersey and am writing to express my STRONG OPPOSITION to the proposed marina in Liberty State Park. Others have eloquently expressed the reasons for my opposition. The only reasons I can see for the giveaway are mercenary, and Governor Christie's spite against the citizens of New Jersey. Please, DO NOT allow any part of Liberty State Park to be developed into anything that does not benefit ALL of New Jersey's citizens, rich and poor. In fact, I hope the incoming administration will sponsor legislation that can protect Liberty State Park from any further rapacious attempts to exploit it, like casinos and marinas for rich people. Jersey City is ready to file its lawsuit in the hope of blocking a proposed "Millionaire's Marina'' at Liberty State Park. Mayor Steve Fulop, who will be sworn in to his second term this evening, is to discuss the suit in a news conference tomorrow afternoon, his office said. In December, Fulop's administration hired law firm Riker Danzig, Scherer, Hyland, & Perretti to explore legal options for preventing the marina to be built at the southern end of the park, which is mostly used for passive recreation and has stunning views of the Statue of Liberty, Ellis Island and all the way out to the Verrazano Narrows Bridge. Fulop is expected to be joined at the City Hall news conference by representatives of the Friends of Liberty State Park, the New York/New Jersey Baykeeper, the New Jersey Sierra Club, the Hackensack Riverkeeper and the New Jersey Audubon Society, all of whom have come out against the idea. Last week, the controversial plan took a step forward when Texas marina company Suntex and the state Department of Environmental Protection, which oversees the park, agreed on the terms of a new lease that would allow the company to expand its current marina at the park's north end and build a new one on the park's south end. The DEP has argued that the marina expansion is necessary to pay for bulkhead repair on the north end of the park that the state estimates could cost as much as $43 million. The tentative agreement requires Suntex to pay reduced rent to the state in exchange for paying up to $25 million for the bulkhead repair. The next step in the process is a public information session Suntex must host at Liberty State Park this month. Still crickets from incoming Gov Murphy on this. Surely the paperwork won't be signed off by his inauguration, so he can stop this when in office. Assuming this fire was not the work of radical park advocates, it was likely that one of the many people living on their boats there was using a potentially unsafe heat source like a kerosene heater. Even an electric heater can be hard to manage safely in the cramped space of a boat. A pair of 60-foot yachts were destroyed when they were engulfed by flames Thursday night at the Liberty Harbor Marina in Downtown Jersey City, authorities said. The Jersey City Fire Department responded to the fire behind 131 Dudley St. around 9 p.m. and eventually put it under control with the help of three New York City fire boats, Jersey City spokeswoman Kimberly Scalcione said. We should have known the bums in Trenton would sneak this through on Christmas week. I hope the public hearings are packed with angry voters. It really is sad. Got to stop this land grab! Multiple boats are reportedly on fire at a Jersey City marina. The Hoboken and New York City Fire Department were responded to assist, according to the Hoboken Fire Department's Twitter. There was not immediate confirmation of any injuries, although the Hoboken Fire Department tweeted, "One civilian reportedly treated by EMS." The fire was reportedly under control before 11 p.m. Photos and videos were quickly shared on social media. Couple of boats on fire tonight in #JerseyCity Hope everyone is safe. #JCFD quick to respond.. 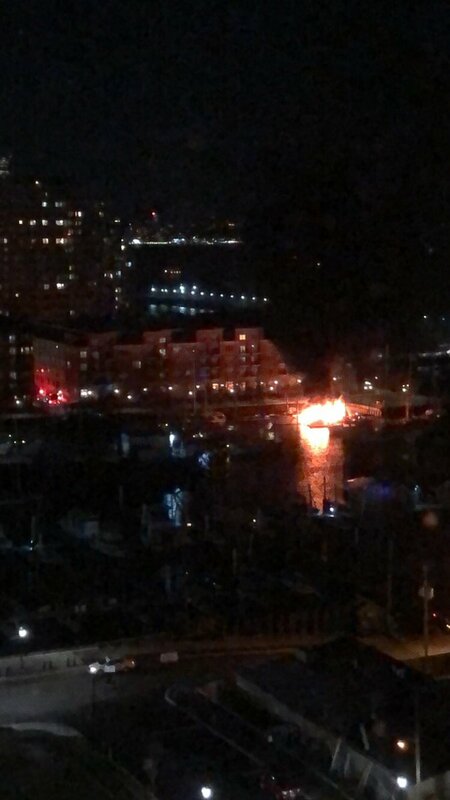 Reader just shared a photo of 2 40-foot boats on fire in #JerseyCity -- Location to come. If the issue is really maintenance money rather than a sweetheart deal for the well-heeled, is there anybody in JC who wouldn't rather see a 1 dollar access fee than this development? Lots of other state parks like Round Valley have them, its $5 per car there. Don't you currently avoid the ramp fee and walk you kayak illegally into the water? No, I use the officially designated car-top boat launch site. But I'd be happy to pay a buck to keep the marina out. I bring the fee up as a potential way to counter their needing the revenue from the marina, rather than my only weapon being insisting that I'm right, as Yvonne prefers. It's best to have more than one arrow in your quiver.